Protection from overvoltages is an essential aspect for trouble-free network operation, as power surges from lightning strikes regularly cause costly damage to network infrastructures. 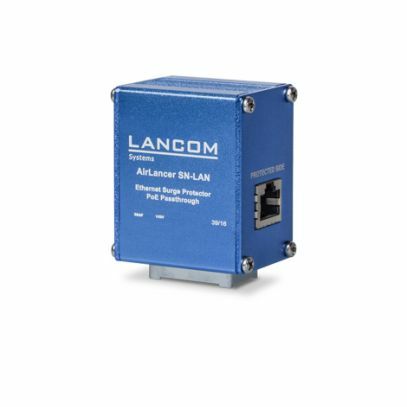 The AirLancer SN-LAN is a surge arrestor that reliably protects the network from power surges and the associated damage. PoE compatibility to IEEE 802.3af and IEEE 802.3at along with its RJ45 connectors minimizes the effort required for installation.